Today’s tax laws are so complicated that filing a relatively simple return can be confusing. It is just too easy to overlook deductions and credits to which you are entitled. 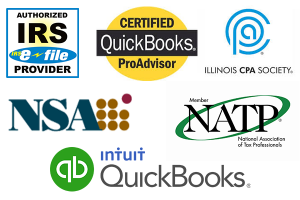 Even if you use a computer software program there’s no substitute for the assistance of an experienced tax professional. We will show you how to adjust your payroll withholding to get more money back each week. Why give the IRS an interest free loan for up to 16 months.